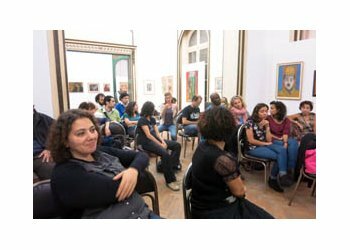 From 2 until 6pm, more than 20 artists, students, teachers and artistic curators, from Alexandria, Cairo and France explored several aspects of the domaine of artistic performing in public spaces now days in several countries. 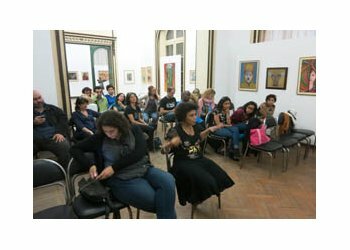 The seminar introduced participants this artistic and social experiment, provide some benchmarks with audiovisual documents, did a focus on the field of dance in public space, and more precisely on last Nassim El Rqs experience with Ex Nihilo performance in Amfussy and Kom El Deka. 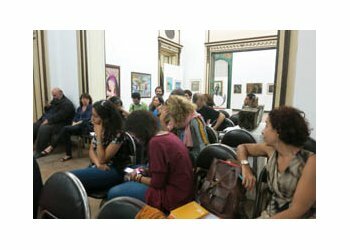 Participants exchanges have been feed by Claudine Dussollier lecture about France and international references, and the experiences of cultural leaders and Egyptian artists who organize events in Alexandria and Cairo. 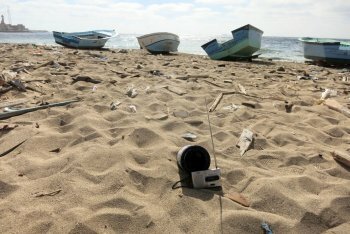 In recent years, these art forms are developing around the world to the extent that the public space is re-become a space to express new issues of each society, further strengthened by the gradual immersion in « virtual and mediatic reality » ( city 2.0). In addition to political events and social difficulties, artists are more interested in meeting the public than before, not the one who knows or can come to the concert hall or opera, but whoever does not necessarily focus attention to art and will not fit into a museum. On the other hand, the artists create more by mixing visual arts, digital arts and performance art, with interdisciplinary teams. The public space in its diversity, its chaos, its changes, its problems, its landscapes, is an inspiring playground, favorable renewal of art. Alexandria and Cairo have seen the development of festivals and artistic events on public space in recent years, such as D-CAF or Nassim El Raqs, passing by the Back Street festival, the theater Madina experience in El Kom El Dekka or those of Gudran at El Mexx. In France, the movement of arts in public space grows, diversifies and renews to as the decades since the 1970s This is a very important part of the French artistic action. 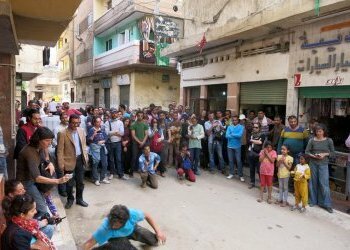 Designed to open new reflection with teachers of fine arts and performing arts (theater and dance in particular), students, artists and cultural structures of Alexandria, this seminar introduced participants to artistic performances in public space by sharing the French and Egyptian experience in the field, with the participation of Emilie Petit, Monkin association, Amina Abo Doma, Back Street festival, Adel Abdel Wahab, Eskanderella Cie, Hassan El Gueretly,artistic director of El Warsha company in Cairo,... . 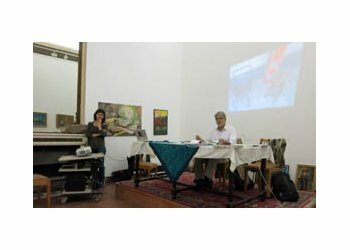 The outcome of the seminar could lead to suites in 2015-2016, in academia or at the initiative of cultural actors Alexandrian.